There are so many acne treatments on the market today, but have you even considered that a wildflower could help you eliminate acne and restore good skin health? Probably not, and that's okay. 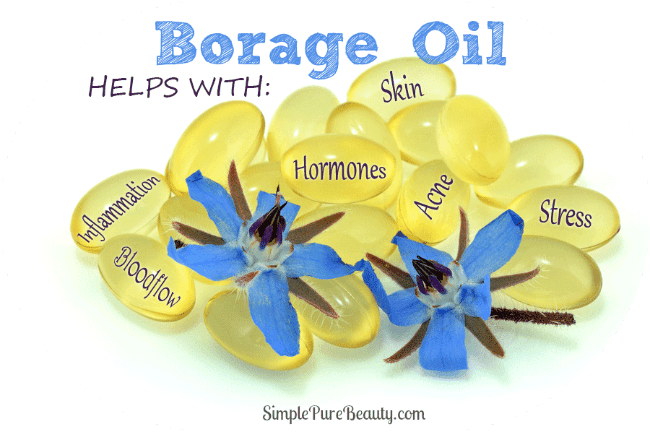 The borage oil benefits for acne are not talked about widely, but they are widely known. Borage oil is taken from the seed of Borago Officinalist, which is a plant found throughout Europe and the United States. Following are some reasons that it is excellent aid for acne. Gamma-linolenic acid (GLA) is found in borage oil, which is one of the biggest borage oil benefits. This fatty acid cannot be made by your body, which means you need to get it through a source such as borage oil. The oil, along with the omega's, are known to help maintain bone health, regulate metabolism, maintain the reproductive system, and stimulate skin growth. New skin growth is important in the process of eliminating old, dead skin and replenishing it with new, healthy skin. Your body converts a lot of the GLA into dihomo-y-linolenic acid (DGLA), which helps to fight inflammation. When inflammation is present in the body, many bodily issues can occur, including acne. Therefore, reducing the inflammation in the body can help eliminate a root cause of acne. It is important to note that if inflammation is a cause of your acne, you may want to change your diet and stop eating foods that are known to cause inflammations, such as dairy, sugar, gluten, and trans fats. The borage oil benefits can only do so much if you are eating a diet that promotes inflammation. Studies have shown that supplementing with GLA helps to promote blood flow. Promoting good blood flow is important to removing internal toxins from your body. When toxins are allowed to build up in the body, more breakouts occur. The body tries to force the toxins out of the skin, and as that happens pores can become blocked, and acne can result. In addition, blood is what carries oxygen and nutrients to all of the cells in the body, including the skins cells. Therefore, good blood flow is important to nourishing skin cells and keeping them vital, and taking borage oil for acne can help keep them nourished and vital. Just when you thought GLA couldn't do anymore in the body, it also helps to maintain hormonal balance. Most women instinctively know that a hormonal balance during PMS will result in a case of acne. Studies have found that people who experience hormonal balances are often lacking in Omega-6 and GLA, which means that the taking borage oil for acne may be extra appealing during periods of known hormonal imbalance to help return hormones to normal and prevent acne. Stress has been a culprit of many things, and for a long time doctors have suspected that stress and acne are related. Doctors are not sure how stress affects acne; however, one thought is that stress produces more sebum, which is an oily substance that gets mixed with bacteria and dead skin cells to clog hair follicles. Historically, borage was used to treat stress and worry, and borage was (and still is) referred to as the ‘herb of gladness'. Studies have also been done to test borage oil's effect on stress, and in one study of men that were put in a stressful situation, borage oil benefits proved to help limit the jumps in heart rate and blood pressure that were related to the stress. In conclusion, borage oil benefits many parts of the body which have an influence over acne. Taking borage oil for acne can help fight acne in people who are experience hormonal imbalance, inflammation, stress, reduced blood flow, and a lack of GLA in the body. Barlean's is a very reputable brand. 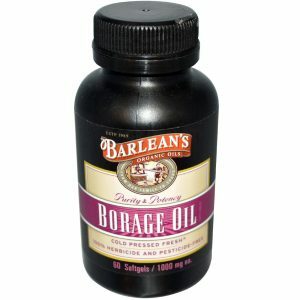 I usually buy my borage oil on Amazon. I just love your receipts, especially in cremes and serum. LOVE YOU, Mindy!